Recently, the 5G Infrastructure Public Private Partnership, 5G PPP, signed partnerships with similar 5G programs outside Europe. In June 2014, the European Commission and the South Korean Ministry of Science signed an agreement to “deepen discussions in the area of Net Futures”. They agreed to work together towards a global definition for 5G. They also decided to cooperate on R&D for 5G. A cooperation framework was settled by a Memorandum of Understanding signed in June 2014 by the 5G Infrastructure Association. The MoU for the 5G vision defines requirements, concept, frequency and global standards preparation. 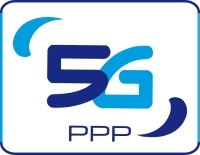 Early March 2015, a MoU was signed between 5G PPP and 4G Americas (www.4gamericas.org/en/ ). Both organisations will share information on 5G concepts and on spectrum. Also in March 2015, the 5G PPP and the 5GMF (http://5gmf.jp/en/ )signed a Memorandum of Understanding for 5G in which both organisations stated they will collaborate in road mapping and developing 5G. At the end of September 2015, the 5G PPP and IMT-2020 (5G) Promotion Group (http://www.imt-2020.cn/en/ ) in China signed a MoU.